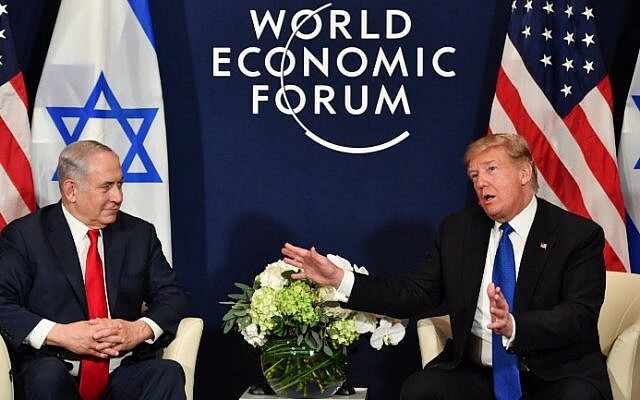 In unscripted remarks to the press on Thursday, US President Donald Trump said the US would no longer transfer monetary aid to the Palestinians unless they entered peace negotiations with Israel, and excoriated the Palestinian leadership’s reaction to his decision last month to recognize Jerusalem as Israel’s capital. Netanyahu, for his part, called Trump’s Jerusalem recognition a “historic decision.” Despite the crisis it has spurred with the Palestinians and much of the broader Arab world, he said it would advance the prospects for an agreement. Meanwhile, the president suggested that his December 6 announcement recognizing Jerusalem as the capital of Israel and setting in motion plans to move the US embassy there had settled one of the key issues in the conflict. January 25, 2018 Frank and Freeda BluntTR News & PoliticsEmbassy Move, International News, Israel, Jerusalem, Living with Islam, muslim terror, muslim violence, Netanyahu, News, Peace, Peace Talks, President Trump, Real News, Truth, U.S.A.